FORT BLISS, Texas (July 30, 2015) — Fort Bliss, Texas, is a hub for Army technological innovation. This fall, it will not just be the technology that is innovative; but also the event in which new technologies will be reviewed. 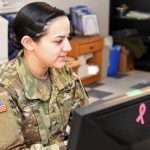 The Army Warfighter Assessment, known as AWA, has evolved as a complement to the Network Integration Evaluation, or NIE. As a proof of concept, this fall’s assessment will also be critical in determining the path and scope of AWAs, as well as ensuring feasibility and sustainability of requirements concepts, Harris said. The Army has conducted semi-annual NIEs since 2011, leading to the fielding of integrated capability sets of tactical vehicles, network and mission command equipment to units from the 10th Mountain, 101st Airborne (Air Assault), 82nd Airborne, 1st Armored, 2nd Infantry, 1st Cavalry and 25th Infantry Divisions. Over time, as technology and the NIE process matured, the Army decided to split it into two events. 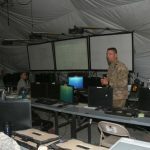 Going forward, each year the Army will hold one NIE, focused on testing and evaluation of network programs of record to continue to meet testing requirements and validate yearly capability sets for delivery; and one AWA, which will provide a more experimental environment to help shape requirements, with an emphasis on joint and multinational interoperability. 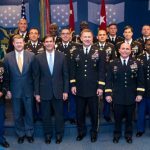 NIE 16.1/AWA will build upon the Army’s technology and integration progress from NIE 15.2, and will be followed by NIE 16.2 taking place next spring. 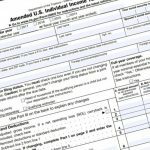 While the NIEs have strict testing and evaluation procedures, the AWAs will be more flexible and will allow the assessment of additional capabilities to help shape requirements concepts. Rather than exploring the concepts in simulation, the AWAs will place the concepts in a field environment with an elevated chain of command and an expansive setting between Fort Bliss and White Sands Missile Range, N.M. With this type of environment, TRADOC hopes to obtain greater insight into how new concepts could meet objectives within the Army Warfighting Challenges. 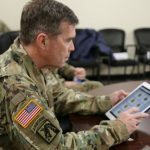 Unlike traditional NIE events, the AWA will not have Soldiers evaluate systems under test for imminent fielding decisions, but instead will give TRADOC an idea of what equipment the Army would like to see in the future for modernization. In essence, the AWAs will be a platform to provide concepts that may reduce capability gap areas, especially in decreasing the threats Soldiers face. 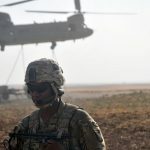 Both events will focus on end states for Soldiers, with the chance that the technology being assessed at AWAs may eventually move on to official testing at NIEs. At NIE 16.1/AWA this fall, Soldiers will be able to try out equipment including ground and airborne-based systems. 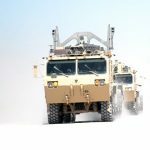 Some of the systems will be non-network related, ranging from capabilities in an expeditionary base camp to those used within command post areas. 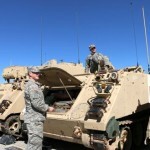 There will also be unmanned type systems to preserve Soldier resources and prevent the Soldiers from being in harm’s way. Looking at more capabilities may lead to the discovery of equipment that eventually add value to the Army’s modernization plans. 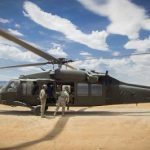 While not straying away too far from the NIE construct, the new environment of the AWA will provide a venue for the TRADOC community to refine, modify or develop modernization requirements, officials said.